ATC Brokers is a MetaTrader-only broker regulated in the UK, and in the US as an Introducing Broker. The broker offers reasonable pricing across nearly 50 instruments, but has few research tools. Please Note: ATC Brokers was not included in the 2019 annual review. 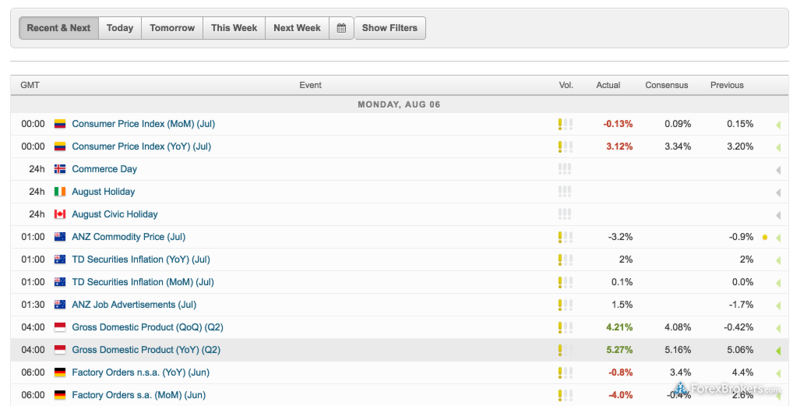 As a result, this broker's ratings may be outdated. Read our Best Forex Brokers 2019 guide for a look at the top rated forex and CFDs brokers. ATC Brokers was founded in 2005 and is regulated in the United States as an Introducing Broker (IB) with the National Futures Association (NFA) and its brand in the United Kingdom (UK), ATC BROKERS LTD is authorized and regulated by the Financial Conduct Authority (FCA). ATC Brokers is a MetaTrader-only broker, offering the popular MetaTrader 4 (MT4) software developed by MetaQuotes Software Corporation. In the US, ATC Brokers offers 40 instruments (38 forex pairs and two metals), and in the UK it offers 50 (38 forex pairs and 12 CFDs). Here at ForexBrokers.com, we maintain the largest independent regulatory database available on the web. Using 28 different variables, we have created a proprietary 1-100 score (the higher the better) of overall trustworthiness, which we call the Trust Score. Here is our trust summary of ATC Brokers. The following table summarizes the different investment products available to clients. 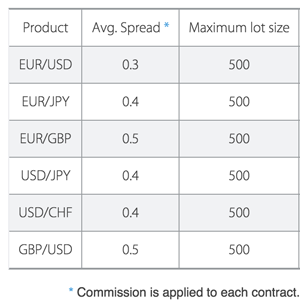 ATC Brokers offers a commission-based account that charges a round turn commission of $10 per standard contract ($5 per side), which equates to roughly 1 pip, resulting in an all-in cost of 1.3 pips after accounting for average spreads of 0.3 pips in the EUR/USD pair. The pricing of average spreads listed by ATC Brokers in the UK varies slightly to that of its US counterpart. Trading costs are neither low nor high, and appear to be close to the industry average. Unfortunately, an accurate comparison cannot be made without knowing which periods the average spreads relate to. ATC Brokers offers few options when it comes to its research offering. Besides a Virtual Private Server (VPS) service for MT4 users and its Trader’s Corner blog, which is not very active, the broker provides only an economic calendar. Compared to its peers, ATC Brokers has a poor research offering. ATC Brokers is a MetaTrader-only broker, offering from the suite of platforms developed by MetaQuotes Software Corporation, including the MetaTrader 4 (MT4) platform. To learn more about MT4, read our MetaTrader guide. 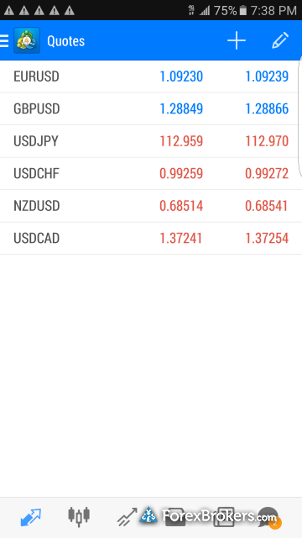 ATC Brokers offers iOS and Android mobile trading applications for its MetaTrader platforms, available directly from developers on the iTunes Store and Google Play. To learn more about MT4, read our guide to MetaTrader. 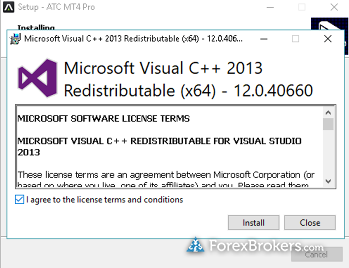 It is worth mentioning the MT4 Pro plugin depends on Microsoft Visual Studio, which must be installed separately before the MT4 Pro plugin can operate. ATC Brokers offers the popular MT4 platform and a few dozen forex pairs and CFDs through its regulated entity in the UK, while its US entity introduces customers through a clearing broker. The broker’s customized MT4 Pro plugin helps slightly distinguish its offering from among other MT4 brokers, but ATC Brokers’ limited research resources put it at a disadvantage compared to brokers with a wider range of research tools. Select one or more of these brokers to compare against ATC Brokers. Find out how ATC Brokers stacks up against other brokers.